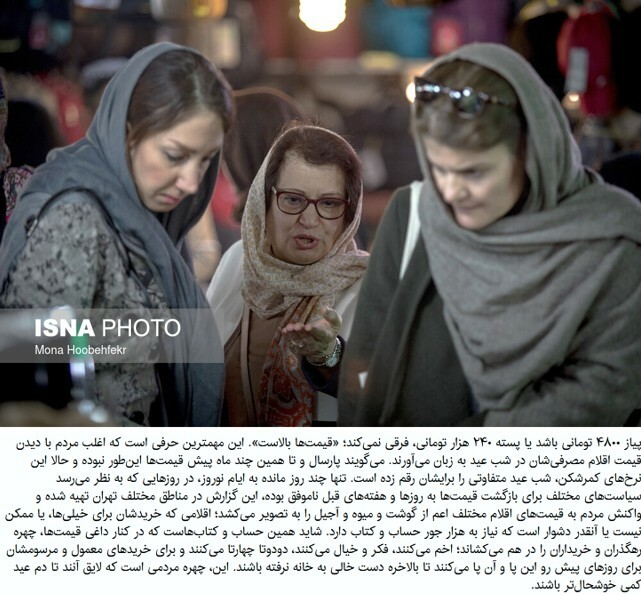 Here is a look at people struggling to do their nowrooz shopping, The title for the photos essay was chosen by ISNA news agency. If saving money is on your list of New Year’s resolutions, but you love to shop, here’s some good news: You don’t have to cut shopping out of your life.Timing is everything in the retail world. And knowing when seasonal items are likely to go on sale and when major sales take place allows you to buy everything you want, but pay significantly less.